Everyone at some point in their lives have encountered a product, service or ‘thing’ that simply does not work right…or at least not as the user had anticipated (or indeed as the designer had envisaged the user ‘using’ it). We all have our own dislikes, frustrations or even hatreds for these products, services and ‘things’ that we use in our daily lives that simply don’t do what we want, as we want, when we want. On almost every level, they fail. Abysmally. So, here is my own top ten of fails, in no particular order of merit or ‘fail’…Please add yours to my blog in the reply section below and let’s see what size of compendium we can build up on this. Predictive text. Drives me nuts. Simple words become nightmares. Names become rude slogans and its not until you have sent your message that you realise you have just called your loved one a ‘chilly bunt’ (or something worse….). Anyway, I’m off for a Hermaphrodite. Damn, I meant Heineken….see what I mean? Q. Do not make predictive text the default setting on your mobile technology. Make it a ‘select’ item that you have to look for in the sub menu. That way you avoid the problem. ‘Rip off’ tops on food products as you find on yoghurts, microwave meals (the cellophane bit…) and so on. Do they ever really work properly? They tear off in ‘strands’ leaving you to dive in with your fingers or use the end of the spoon to ‘flip’ the remaining shreds off, sending dairy product or hot microwaved product onto clothing and walls. Grrrr…. Q. Please can we have a ‘pull off’ lid on food containers that works in one easy to manage ‘pull’? If not. A simple clip/screw on lid will suffice….possibly. Rubbers/erasers on the ends of pencils. All they do, at best, is smudge your work with an artistic pink goo or, at worst, rip your paper to shreds. Do yourself a favour and invest in a decent pencil and a decent rubber/eraser. Q. Why indoctrinate young kids with these foul pieces of design at such an early age? Ban them (the pencils with rubbers on that is, not the kids) from primary schools and beyond. Please. Hotel showers. Yes, you read that correctly. Not so much the actual shower as such but the cubicle surrounding it. Firstly, despite my best efforts in units with curtains water still gets out. Curtains are too short or do not pull around enough (especially on those stupid shower units stuck in a bath). Secondly, I can never find a decent little shelf at a convenient height to place my shampoo and shower gel. I end up having to try and balance the two items on the actual tap/shower unit ‘thingy’ and invariable one or both of the items fall off, sometimes breaking the lid or splitting the bottle. Genius. Q. Get someone to DESIGN your showers with the USER in mind? If you are stuck, give me a call. Supermarket trolleys (and the people that use them). Bear with me on this one…I suppose in a way this is a bit of a left field call BUT some of the absolute morons I have encountered in supermarkets using trolleys is unprecedented. Now we are inside. Idiot one has absolutely no idea which way they are going, so you anticipate their move and overtake on the left as they are looking right….but they turn left straight into you pinning your kid who was walking beside your trolley (Thought – install ‘trafficators’ – google it – like you used to get on early Morris minors and Mercedes). Humph. I won’t go on…you get the picture. 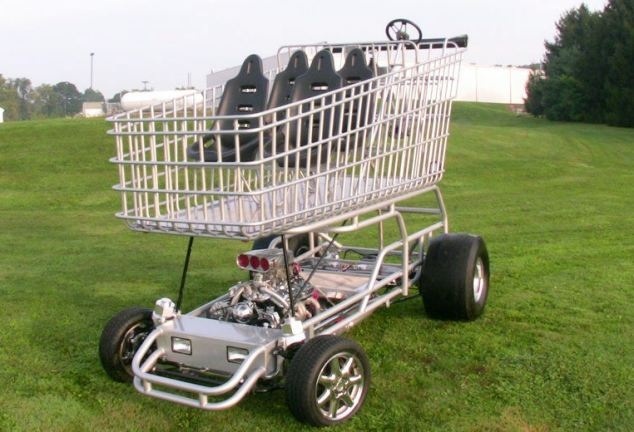 Firstly, a driving test for supermarket trolley users with ‘L’ plates for first time users, numpties and morons? Secondly could we introduce an ‘Ikea style’ approach to supermarket shopping where you go round in one direction only. If you miss something there are one or two ‘short cuts’ or you simply just have to go round again. Bit like the M25 for my British friends…. Wheels on moveable BBQ’s. You move the BBQ, they fall off or fail to rotate rendering the BBQ static and making you wish that you had purchased the one without wheels in the first place. WTF (sorry….pet hate of mine. I love BBQ’s). Q. We can design wheels and axles that live together in harmony on cars, planes, buses, motorcycles’ skateboards….so why can’t we have them on a BBQ please? Car Dashboard Warning Lights OR Steering Wheels (depending on your viewpoint). You know the little orange light you can’t see as it is hidden behind the left hand spoke of your steering wheel that tells you your engine has just ceased to live anymore…? The reason why you can’t see it is that ‘modern design’ dictates that you can control speed, volume, sat nav, phone, air con and other things from your steering wheel so it is now so bloody fat (and requires a degree to work it) that it hides the important stuff on your dashboard e.g. That little sodding orange light that tells you that your engine has expired (or that you have just run out of go go juice, or that your engine has over heated….take your pick). Q. Can we please put the important warning lights somewhere where they are more ergonomically accessible by the user? Maybe on the steering wheel…duh? Hospital Crutches. The ones with the ‘easy to adjust’ ball bearing-on-a-spring mechanism? Easy to adjust? You kidding me? I have never able to get the right height for me or my kids as the adjustment does not offer that ‘half way house’ position that you are looking for. Also, after half an hour of use your hands are blue as all the blood has drained out of them and your palms are red raw. Oh, and what about the rubber bits they put on the bottom? They are lethal if they meet a wet surface. Like outside on a rainy day…or in a cafeteria where the floor has just been washed…or, from personal experience, in an airport toilet area where there is no flaming sign telling you the floor is wet until you find yourself horizontal with your head in a urinal and your crutches now scattered at all points of the compass . You get my drift…no pun intended. Q. Can we have a comfortable, easy to adjust non-slip crutch design please that does not cause more injury and pain than the original ‘pre crutch’ ailment contributed? Ceramic/Porcelain mugs when used in a Microwave. Ouch. Does not happen if you pour boiling water in from a kettle BUT if you microwave your drink the mug/cup gets scalding hot and that’s when you end up with ‘Royal Dalton’ branded into the palm of your hand. Television Remote Controls. Did you know that there can be up to as many as 86 buttons on your average remote control? EIGHTY SIX. If we take away the on/off, volume up/down and programme up/down buttons. That leaves us with 81….okay, so lets take away (for the advance anoraks reading this) the menu button, remote in/AV option, numbers 0-9 and possibly the satellite link key (or what have you). Now we are left with 70 buttons. SEVENTY! What the hell do they all do? In an age where most countries have an ageing demographic, and many did not ‘grow up’ with this technology, it is painful watching an old age pensioner (my mum for example) trying to turn on the TV let alone choose a channel and then adjust the volume. Why? Too many buttons, too small in size (especially with onset of arthritis) and illegible to someone rapidly losing good sight. Downright confusing. Q. KISS? Keep It Simple Stupid. Either design a control that does not need all that often underused functionality OR design a skin (patented idea by me now ‘light bulb moment’) that rolls on to your average control (yes, like a condom…) that masks out all the non-required buttons leaving just the basic buttons exposed. Genius. I’m here all week. I look forward to seeing your thoughts below. This entry was tagged Design, education, ergonomics, fail, humour, teaching, technology. Bookmark the permalink.